What is eczema, reasons dermatitis as per astrology and treatment, astrologer for health problems solutions, know about home treatment. A very common skin disease is eczema or dermatitis, due to this skin disease skin become dry, small pimples comes out and sweet itching disturb the daily routine life. The persons who has problems in blood or allergy with different things generally suffers with eczema. In wrist generally small pimples comes out and because of it person is unable to wear watch. continuous itching harasses the person. Back also suffers with eczema and due to this person feels uncomfortable. In the both side of thighs also eczema comes out and person sometimes feels awkward in the society. Some person faces this problem in the private part of body too. In the lower part of leg also this arises. 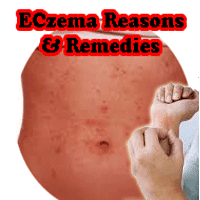 So eczema can come out anywhere and it is necessary to treat it in early stage otherwise it becomes a very big problems and due to this person is unable to perform the daily routine life smoothly. What is the REASON of ECZEMA? Too much working in hot weather. In this case due if there is too much moisture then person perspire much and it lead to eczema. Use of Synthetic cloth. In hot weather many persons don't digest the synthetic cloth and continuous use of these cloths make the skin affected. Allergy with dust, smoke etc. There are some persons who has allergy with some things so when they come in contact with them, eczema happens. Tension, over pressure in mind is another important reason of eczema. Some person have problems with special type of detergents, bathing soap, perfumes etc which also cause skin problems. 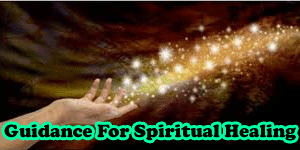 As I have cleared in many articles that planets plays very important role in any type of happenings. So if any one is facing skin problems then there is definitely some problems will be detected in horoscope too. Generally if Venus is affected in kundli then persons faces skin problems. In some cases due to malefic Saturn also person faces the eczema problems. combination of Venus and Mars also generate the skin related problems. In many cases I have also found that when Mars and Venus Sit together in 8th house then also it gives eczema problem. So there may be various reason which can only be found after proper analysis. So do consult an expert astrologer to know the exact reason and remedies of your problems. Pair your nails regularly as they are the main source of disease. Use soap, shampoo, oil which suits you. Avoid chemicals. Wear light cloths and also cotton cloths are best in summer. Don't keep your self too much hungry for long time. Take precaution while wearing gems stones and metallic ring or bracelet. 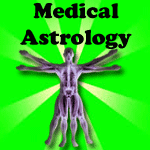 If you are suffering from skin problems and want astrology remedies then do contact astrologer for proper analysis and solutions of disease. 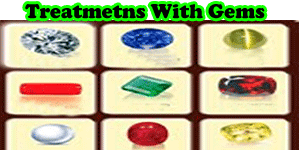 You can know about the best ways to heal your self and also you can know about best gems stone, best pooja, best spells to over come from health problems. We all aware of sandalwood, in hindi sandalwood is called "chandan". Because of its qualities and power it is very famous world wide and great demand is there. Due to lack of availability it is expensive too. What is Sandalwood? There is a tree of chandan and inside the stem original and healthy sandal is present which is very beneficial and healthy for all. 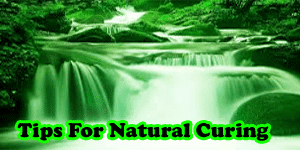 It is cool in nature and so is very beneficial for the persons who have problem of heat. Because of it's aromatic qualities it is also very popular, the fragrance of original sandalwood is very decent and is liked by all. Chandan is used in worship, rituals, to make itar, dhoop, making medicines, making beauty products, oil etc. Here in this article I am going to present some important and easy uses of Sandalwood. Every one can get beauty, health and wealth by using Sandalwood.